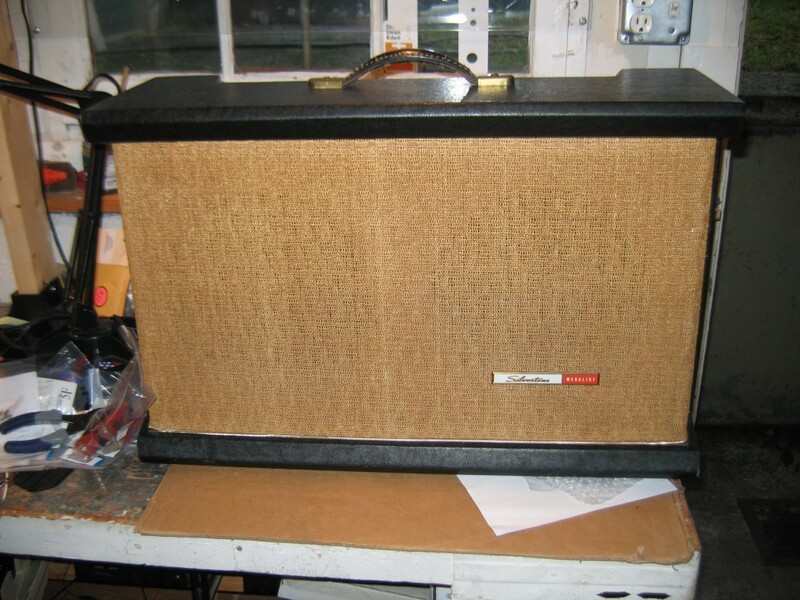 Bandmaster Reverb in the shop! Silverface Bandmaster Reverb in the shop! These amps are kind of off the radar of many guitar players. They are a nice amp, 40W, 2 6L6 with tube-driven Reverb and tremelo, what’s not too like? 🙂 I have seen a number of them come through the shop here. 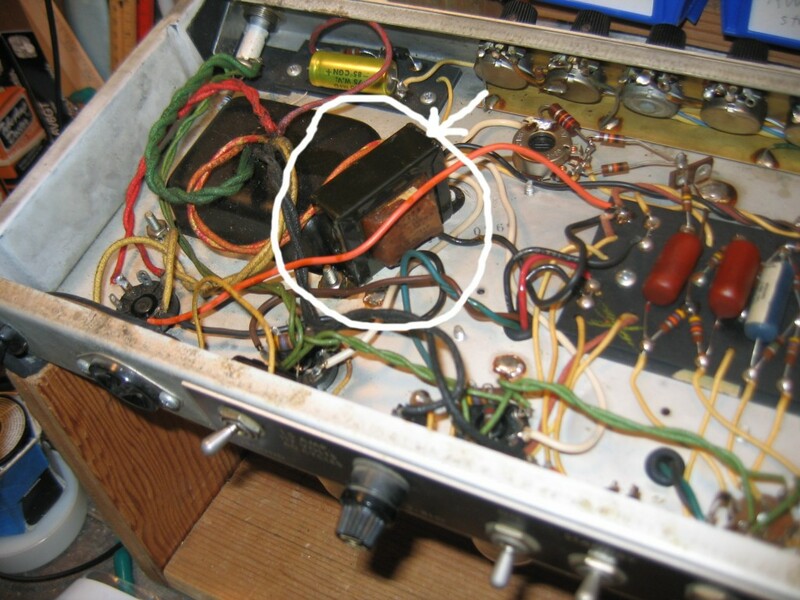 This one has old (and failing) electrolytic caps, some kind of extra choke (see last photo below) hacked-into the chassis (even though the choke is not doing anything, as it’s shorted by a wire) wonder what the history on this amp is? In any case, after replacing the electrolytic caps, installing a new, properly-grounded, AC power cord (for safety), and possibly changing the bias circuit from bias-balance-adjust to bias-adjust, I bet this will sound fantastic! 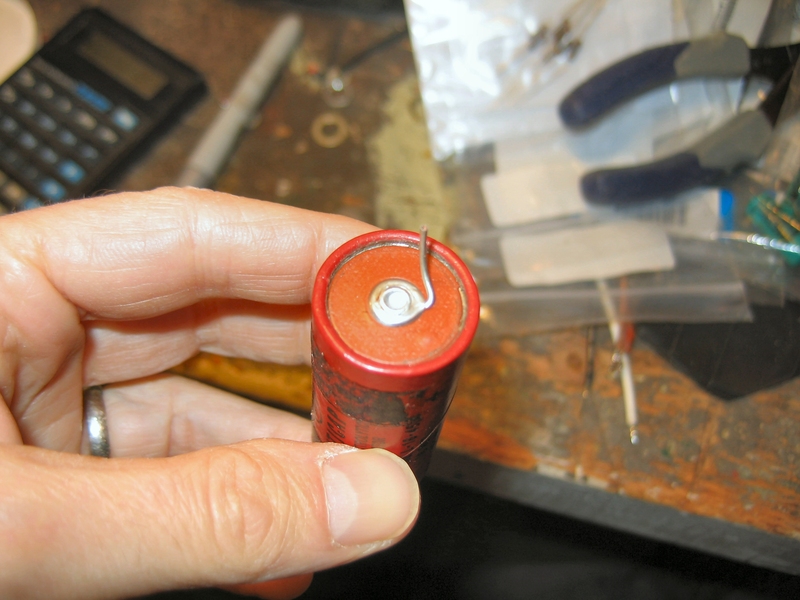 ** Someone, who did repair work on this at some point in time, replaced the first two (main) power supply filter capacitors with a value that is half of what’s spec’d. 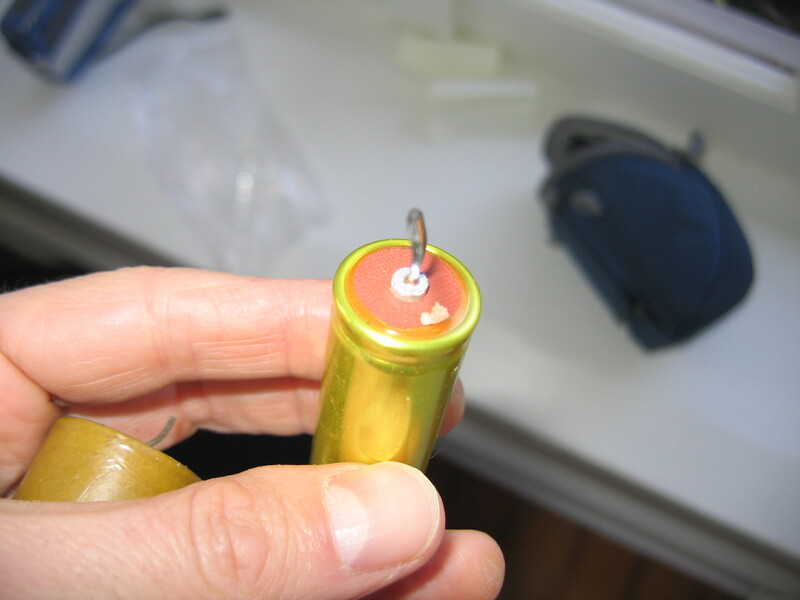 No wonder the customer was complaining of weak bass response! Also, some of the caps are 50+ years old, one has sprung a leak (The yellow one), and the paper one has a dimple on the end of the cap that would have soon turned into a leak, and a failed power supply. See the bottom two photos in this post. Silvertone in the shop ! Into the shop walked a mint Silvertone “1434”. A really cool amp, two channels, two 12″ speakers. Nice! I have not yet seen one in such clean and pristine condition. The power supply caps were failing. 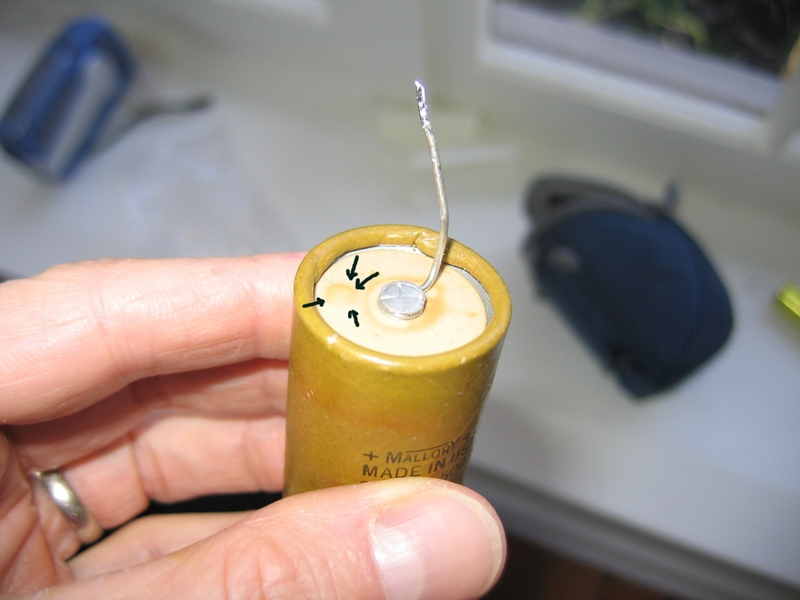 See photo below where if you look carefully you can see a bubble beginning to form (it’s a little dimple) on the end of one of one of the power supply caps. I had a Silvertone in here a few years ago where the had cap failed, shorted the choke to ground, and literally burned-up the choke. So, we’re not going to let that happen! 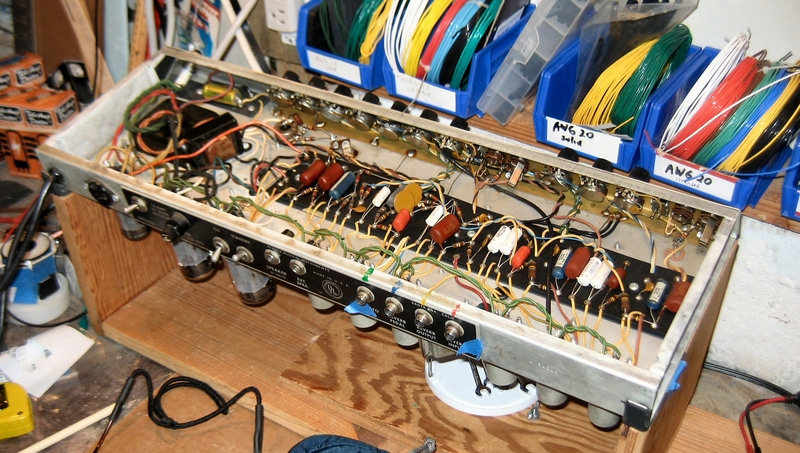 The amps is going to have all new power supply filter caps installed, and I’ll also replace some Sangamo coupling caps that were leaking. 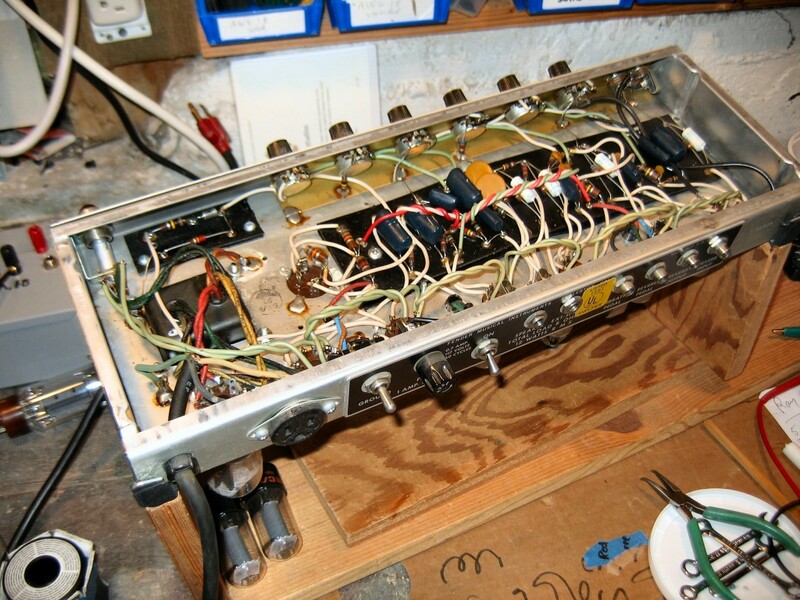 All the old Silvertone amps I have ever seen here in the shop have had leaky coupling caps, and that causes all sorts of problems! 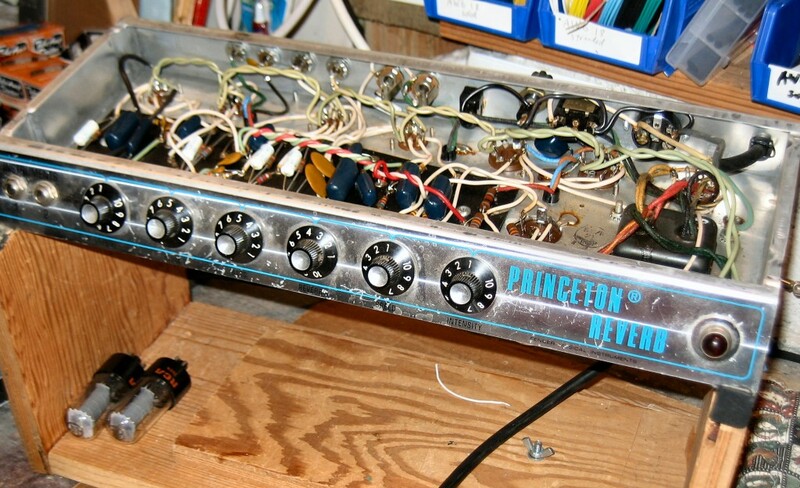 Princeton Reverb in the shop! This one; from the Silverface years. The bias filter cap was bad, which caused the output (power) tubes to be biased incorrectly, way too hot. Hard to tell how long it has been in this condition but the output tubes are bad, probably because they were running so hot for a long time. 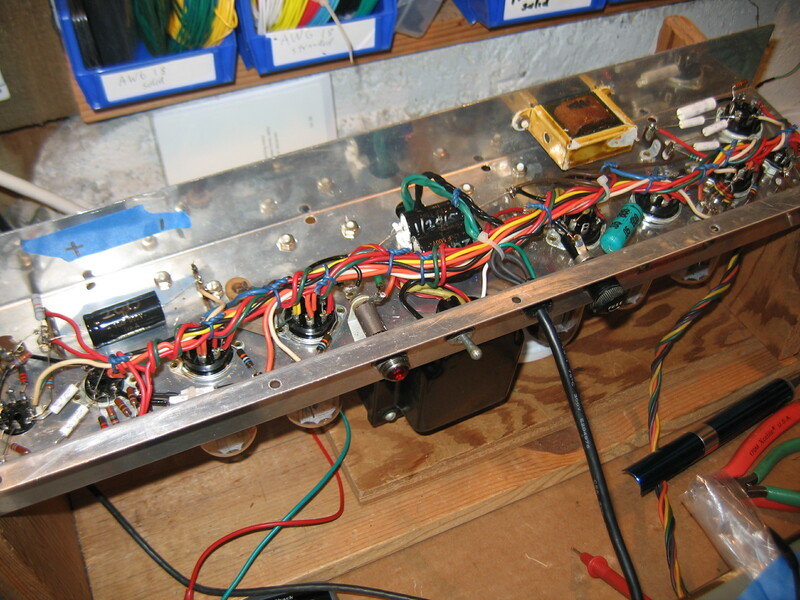 Anyhow, this one needs a new bias filter cap, new output tubes and I think it would be wise to install new power supply filter capacitors since one important cap has already died. It gives me a real sense of pleasure to bring these great amps back to life and working at 100% !